Not sure if you're a dog or cat person but researching your first pet? Great! Taking a look at your current living situation may help you to determine whether to welcome a feline or canine or perhaps a different critter entirely! These loyal fur-faces require more time, attention, and money than most other critters. Because they're pack animals by nature, they're often more social than cats. Consider how much time they'll need for exercise and playtime. If you travel a lot or have a job that requires long hours away from home, a dog might not be the best pet. Plan to spend at least $20 monthly on food, and remember to factor in grooming costs, too. On the other hand, dogs make great watch animals and companions. You'll have a buddy who can't wait to accompany you on adventures and gives unconditional love. Feisty felines are more independent than dogs, but they still enjoy spending time with their people. Generally, they're neater and cost less to maintain; you don't have to walk them in all weather, but there is the litter box. Most cats don't require grooming assistance, and their natural independence complements a lifestyle that includes long days away from home. When you do finally crash on the couch, your lap will quickly attract furry company. Cat or a Dog? These questions are worth considering if you can't decide. 1. Do you enjoy spending time outside? If so, a dog makes the perfect companion and playmate. Few cats enjoy the constraints of a leash. 2. Do you like to go for walks? Dogs need regular, daily exercise, and many dogs need walking at least twice a day, regardless of the weather. If you discover you're short on time to walk your dog, consider hiring a dog walker to help out. 3. How old are your kids? Some experts recommend waiting until they're between 7 and 9 to get a dog, but the answer varies from family to family. 4. How do you feel about fur? If you're obsessive about a clean house, carefully consider the breed of dog or cat. Some breeds shed much less than others; other breeds require regular brushing and professional grooming. 5. Does anyone in your household have allergies? If so, you'll want to research breeds less likely to induce allergic reactions. 6. How do you feel about 'needy' critters? Dogs love to hang with their people; you'll rarely be alone. They'll greet you with excitement whenever they see you and want to spend most (if not all) of their waking time in your presence. Most cats seek affection on their own terms, not yours. 7. Do you have time for obedience school and reinforcement you'll need to provide that training for your dog initially and then continue to reinforce desired behaviors; dogs look to you for leadership since they want to please you. Cats don't require that level of training, although you may need to take measures to keep a curious feline off kitchen counters or from other spaces where you'd prefer she not venture. Once you've made your choice, prepare your home for a smooth transition. Here's a list of items you might need, depending on the critter: food/water bowls, bedding, litter box, collar, leash, toys, carrier, crate, grooming tools, and nail clippers. Also, double-check your home for poisonous plants, cords, and other potential pet health hazards. Set aside a room or space where your new pet can seek a safe space to relax away from the main traffic flow. 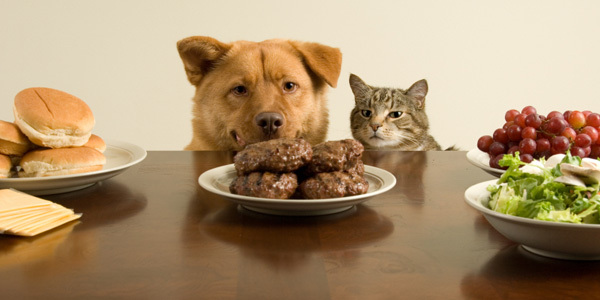 Set routines right away, cats and dogs both thrive on routine: feeding time, playtime, sleep, and exercise. Be patient. Some animals will blend in and bond immediately like they've been members of the family for years. Others take a bit more time to warm up to a new situation. Encourage everyone to give new pets their space, but spend time playing, petting, and cuddling the new critters, too, take your cues from their behavior. What matters most is that you've welcomed a fur-face, who'll love you and your family unconditionally, into your home. Have fun and enjoy the snuggles! Crystals are a non-invasive, gentle holistic way to heal animals by shifting their energy, emotionally, mentally, physically, and spiritually Historically, crystals have been used in healing as far back as 25,000 BC. and In the last quarter century, there has been a resurging interest in crystal healing. How it works ?? ?The crystal is a neutral object whose inner structure exhibits a state of perfection and balance. How does crystal heal both us and our animals? All living beings are made up of energy and possess electromagnetic fields. Each crystal, gemstone and mineral resonates at a specific vibrational frequency and amplitude that in turn attracts the energies of particular qualities and traits and as I am talking about using crystals to heal animals those energies mix with the animal's own energy field. Crystal healing is non-evasive and one which our animal companions resonate well with since they could be said to be closer to nature than we are. There are a number of different ways of using crystals to help heal animals. One of the best is to place them somewhere within the animals energy field. Be careful and make sure that they cannot eat them. You can attach them to collars, I have a vast array of crystal collars on my website. You can also sew them into their bedding, but if you think they will chew through the bedding to get to the crystal you could make a crystal grid around their crate or around a stationary animal or simply massage with them. Crystals can be programmed for specific uses; for example a healing intention. Know the crystals that you are using as some crystals, including malachite, cinnabar and peacock ore, are toxic. Prevent your dog or cat from licking or mouthing the stones. All the Astrology signs pass through five Elements. These Elements are Fire, Wood, Water, Earth and Metal. Everyone and everything must interact with these Elements. Each element is associated with one of the planets in our solar system. Fire is paired with Mars; Wood is paired with Jupiter; Water is paired with Mercury; Earth is paired with Saturn and Metal is paired with Venus.There are relationships between each of these Chinese Elements. They each have a beneficial relationship, a destructive relationship and a hostile relationship to the other Elements. The beneficial relationships are as follows: Water generates Wood; Wood generates Fire; Fire generates Earth; Earth generates Metal; Metal generates Water. The destructive relationships are Water puts out Fire; Fire melts Metal; Metal cuts Wood; Wood breaks Earth and Earth swallows Water. The hostile relationships are Water hates Fire; Fire hates Metal; Metal hates Wood; Wood hates Earth and Earth hates Water.Each of these Elements has their own set of characteristics that affect the animal signs. The concept of Yin and Yang also affect the Five Chinese Elements. Those born in the Earth Element are patient and reliable. The Element of Earth may be considered stubborn or rigid. Earth's colour is yellow, and it is associated with the digestive system, especially the stomach and spleen. Those born with the Fire Element love adventure and excitement; The Fire Element is the South and represents the season of summer. Fire's o colour is red. It is associated with the circulatory system and the heart. Those born with the Metal Element are tenacious and self-reliant. Metal is the West. It is associated with the season of autumn. Metal's colour is white. In the body, Metal is associated with the respiratory system and the lungs in particular. Those born with the Wood Element are generous. The Element of Wood is the East. It is associated with the season of spring. it is the colour green, and it is associated with the liver and gall bladder. Those born with the Element of Water can be charming and sensitive and compassionate. Water Element is the North. It is associated with the season of winter. Water's colour is black and it is associated with the lungs, skeleton and excretory system. What do I feed a Kitten? Kittens usually start eating solid food at around 4 weeks of age but still suckle on their mother. Cat food can be bought in cans, rolls, packets etc. I feel that tinned is much better than dry for cats and if possible choose a premium brand and always check the ingredients and check the packaging for wording such as 'Total nutritional requirements for cats and kittens'. Supplement your kitten's diet with chopped or minced fresh meat, fish or chicken but remember fresh meat or fish alone does not supply your kitten with all the nutrients it needs. Give you kitten a variety of foods changing what you give him regularly. Kittens can become very bored with same food day in day out and they may refuse to eat. It also helps guard against raising a fussy eater! Throw away uneaten food. Don't put it back in the fridge to give the kitten later as it could be contaminated by bacteria. Don't feed your kitten dog food as the nutritional requirements of dogs and cats are very different. Your kitten needs fresh water available at all times. Try not to use plastic bowls as they tip over easily. A heavy china, pottery or porcelain dish is preferable. Do not give cats or kittens cow's milk as many kittens are lactose intolerant and it can cause tummy upsets and severe diarrhoea. Specially formulated milk for cats and kittens is available from your vet. Young kittens are like babies, they need to be fed several times a day. Kittens younger than 6 weeks ideally should still be with their mother. As a rule of thumb kittens aged between 6 weeks and 12 weeks need four or more meals a day. Their stomachs are very small and they can't eat a lot at a time. At about 12 weeks they should be fed three times a day and by the time they reach 6 months they can then go on to twice daily feeding. You must provide your kitten with warmth. This is especially important in cold climates. Your kitten is used to snuggling up to his mother and litter mates for comfort and warmth. There are many different cat beds available in all forms and sizes and in a huge range of prices. You don't have to spend a lot of money on a bed as your kitten will be perfectly happy in a cardboard box lined with a blanket, baby quilt or lambs wool cover. The important thing is that he has a warm place to sleep and cuddle up in. If the weather is really cold put a hot water bottle under his blanket. Try to make your kitten's bed snug. Cats and kittens love to curl up in snug areas. Kittens are heat seekers and you are a good source of heat for them. That is why they love to curl up on your lap and they will seek you out in your bed not only for company but for warmth. If you don't want your cat sleeping in your bed for the rest of it's life it is best to let your kitten know what you expect from him from the beginning. Put his bed in a quiet place away from busy areas and encourage him to sleep there and close your bedroom door when you go to bed On the other hand you may like your kitten to sleep with you and that's OK as long as you realise that he will probably share your bed for life. Cats are well known for their bed hogging abilities. .
All dog owners know how dogs are in tune with our inner emotions and in essence our perfect soul mates. For those non-believers out there, Researchers from the U.K. and Brazil have carried out a study and published the latest paper on a dog’s ability to relate to humans. The paper concluded that dogs can understand human emotions and that it is not a learned behaviour, that dogs understand our positive and negative emotional states, knowing how we are feeling by responding to expressions. I watched a program some time ago about dog behaviour and they did an experiment which showed a woman crying on a park bench. This woman was a stranger to the dog but when the dog’s owner sat beside the woman, the dog responded to the woman’s emotional state and tried to comfort her. It has been proved that dogs have the ability to combine information from a number of senses, a skill that has never been seen before in any other creatures apart from humans and they really understand how the other individual is feeling. The researchers showed dogs pairings of images and sounds each of which conveyed different combinations of positive happy or playful and negative angry or aggressive emotional expressions in human’s and also used controls with positive and negative images linked with white noise i.e. neither positive nor negative emotions. This showed that the dogs spent longer looking at the facial expressions that matched the emotional state of the sound for both human and canine subjects. So if the sound and image did not match they did not engage with the image. This cognitive ability until now has only been evidenced in primates and the capacity to do this across species only seen in humans. Dogs have been selected and bred for thousands of years and have evolved to be different to any other type of animal on this planet. For example, chimpanzees can recognise emotional states in their own species but they cannot do this in other species. Dogs can in fact teach us a few tricks they are natural experts at mindfulness something that many of us strive to achieve. In fact, most of the dog’s brain is similar to a human brain, we share the primitive parts of the brain that process emotions, the major difference is the large forebrain of humans which allows us to think, worry and calculate and this forebrain stops us from living in the moment. Dogs are amazing companions, they emphasise and respond to us and we enjoy that loving friendship, they give love and comfort and respond happily to our happiness. They do not judge and want to give us emotional support and they also know within a few seconds whether they have come across a friend or foe knowing whether to be friendly or not. Dogs are social animals so it is important to learn how your dog interacts with everyone he comes into contact with. Your dog’s world and behaviour within it is not complicated but how he perceives his environment and responds to it is very intricate and the emotional state of your dog is what drives their behaviour. One of the fundamental needs of your dog is safety how safe and secure do they feel in their world. There are a wide range of factors in dealing with dog behavioural issues for example, genetics, parentage, personality, diet, disease, trauma and the environment, and who the dog co-exists with. Before we treat we must always find the root of the problem if we do not we are treating with temporary band aid which will not be a permanent solution. Dogs are a subspecies of the wolf, there are some differences as a result of domestication but there are so many similarities just as wolves’ dogs have carnivore requirements both choose to eat plant material for both nutritional and medicinal purposes. So dogs are supposed to eat meat and bones in the diet and fresh food is very important for their well-being. However, there are differences in opinions between vets as to their views on feeding raw bones and raw v fresh cooked food for dogs. The jury on this is still out. Ideally, dogs should eat quality human grade meat as meat used in low grade kibble by factory farms is so poor, such as road kill and another more holistic example would be the negative emotion fed to a dog given food from a factory slaughtered cow that had years of neglect, we should be thinking of not just the well-being of our beloved dogs but also on the well-being of the animals they eat.